Badrinath Temple is located in the state of Uttranchal in India. Nestled between the Twin Mountains of “Nar” and “Narayan”, the holy Badrinath pilgrimage is visited by scores of devotees every year. It is mentioned in the Hindu Scriptures and its holiness is emphasized by a saying that means, “There may be many sacred pilgrimages in the heaven, earth and the nether world, but there has been none equal to Badrinath, nor shall there be“. The temple is mentioned in ancient religious texts like Vishnu Purana and Skanda Purana. It is glorified in the Divya Prabandha, an early medieval Tamil canon of the Azhwar saints from the 6th–9th centuries AD. It is believed that once the Shraddha Karma is performed here, the descendants need not perform the yearly ritual. Badrinath is one of the most esteemed Hindu Temple around the world and so are its legends. The most important idol amongst all in the temple is a one-meter tall statue of Vishnu as Sri Badrinarayan, made of black Saligram stone. The statue is considered by many Hindus to be one of eight Swayam Vyatka kshetras or self-manifested statues of Vishnu. The idol depicts Vishnu sitting in meditative posture, rather than his far more typical reclining pose. Char Dham are the names of four pilgrimage sites in India that are widely revered by Hindus. It comprises Badrinath, Dwarka, Puri, and Rameswaram. It is considered highly sacred by Hindus to visit Char Dham during one’s lifetime. The Char Dham defined by Adi Shankaracharya consists of four Vaishnavite pilgrimages.The Badrinath Temple is one of the four Char Dham. Divya Desam Temples are the 108 Vishnu temples that are mentioned in the works of the Tamil Azhvars (saints). ”Divya” means “premium” and “Desam” indicates “place” (temple). Of the 108 temples, 105 are in India, one is in Nepal, and last two are outside the Earthly realms.The last two are Thirupalkaddal and Paramapadam. Tirupalkaddal is the ocean of milk and Paramapadam is the Srivaikuntam where Lord Narayana presides. The Divyadesams are revered by the 12 Azhvars in the Divya Prabandha, a collection of 4,000 Tamil verses. While most Divyadesams follow Thenkalai mode of worship, some follow Vadakalai too among others. 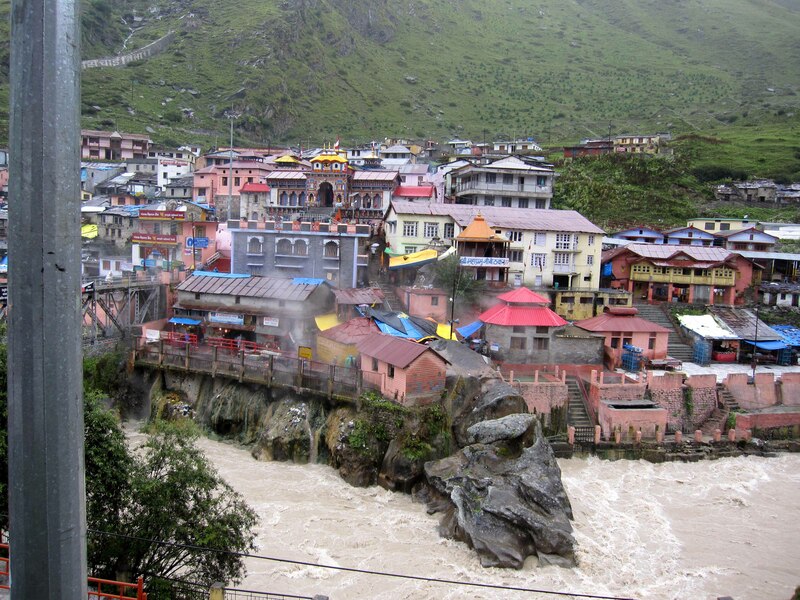 Badrinath Temple is also one of the 108 Divya Desams, holy shrines for Vaishnavites. 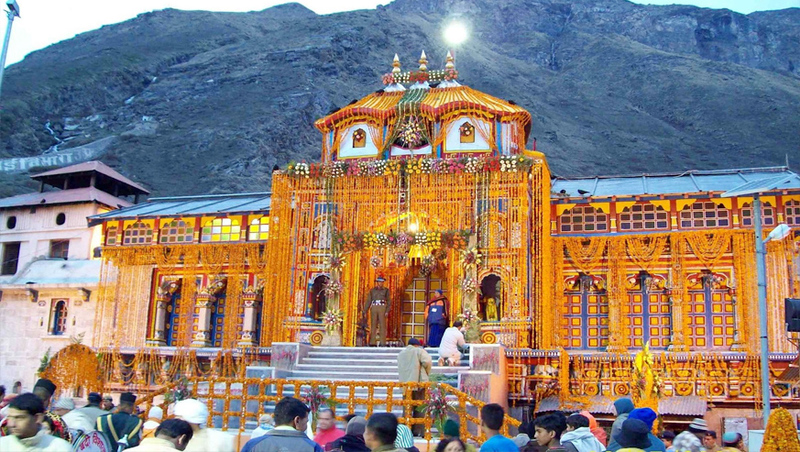 The Badrinath temple is one of five related shrines called Panch Badri that is dedicated to worship of Lord Vishnu. Vishal Badri – Badrinath Temple in Badrinath. Yogadhyan Badri – located at Pandukeshwar. It also has an image of Badrinath in the meditative posture. Legend has it that King Pandu installed a statue here named Yogadhyan Badri. Bhavishya Badri – 17 km from Jyotirmath at Subain. Legend says that when evil is on the rise in the world, Badrinath will become inaccessible and Lord Badrinath will appear at the Bhavishya Badri temple. Thus it is the future or BhavishyaBadri. Vridh Badri – 7 km from Jyotirmath in Animath. Vridh Badri means ‘Old Badri.’ Legend says this is where the Badrinath image was originally worshipped, before being enshrined at the current Badrinath. Adi Badri – 17 km from Karnaprayag. A temple complex consisting of sixteen small temples with intricate carvings houses a three foot black stone statue of Lord Vishnu. It is widely believed that Adi Shankaracharya, the famous Hindu philosopher saint constructed the Badrinath temple. Shankara discovered the image of Badrinarayan in the Alaknanda River and enshrined it in a cave near the Tapt Kund hot springs. In the sixteenth century, the King of Garhwal moved the murti to the present temple. The temple has undergone several major renovations, due to age and damage by an avalanche. In the 17th century, the temple was expanded by the Kings of Garhwal. After significant damage in the great 1803 Himalayan earthquake, it was rebuilt by the King of Jaipur. Mata Murti Ka Mela, which commemorates the descent of river Ganges on mother earth, is the most prominent festival celebrated in the Badrinath Temple. This is a festival that holds a lot of importance in Badrinath. On this day, Shri Badrinath JI’s mother is worshiped, and a large fair held at the Badrinath Temple in the month of September. According to the Puranas, it on this day that the River Ganges descended to earth from heaven, giving life and prosperity to us mortals. The temple is dedicated to Lord Vishnu of the Hindu trinity of Gods, who is seen in a meditative pose. According to Hindu legend, god Vishnu sat in meditation at this place, keeping away from Thulin, a place in the Himalayas which was corrupted by meat-eating monks and unchaste people. 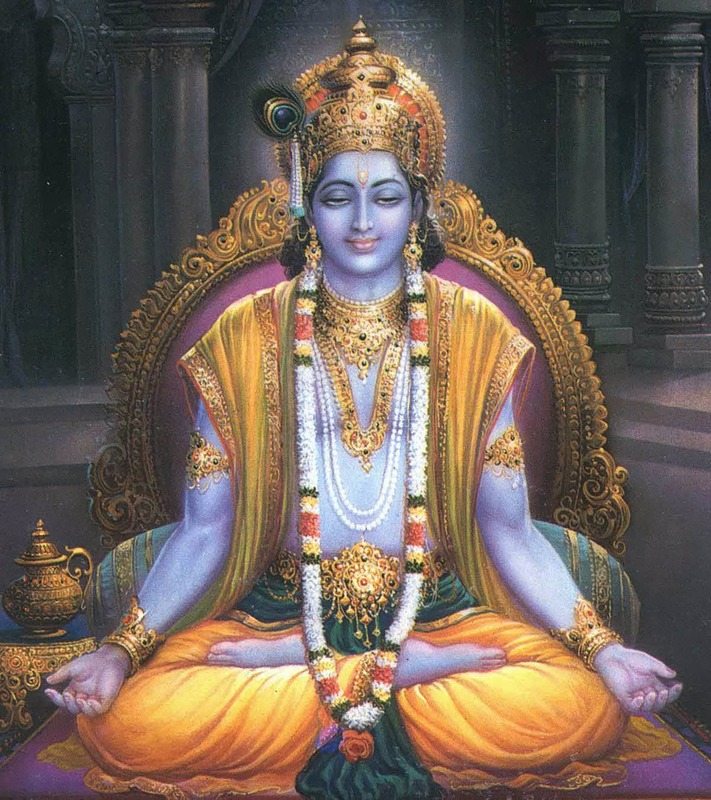 During his meditation, Vishnu was unaware of cold weather. Lakshmi, his consort, protected him in the form of the Badri tree (jujube or Indian date). Pleased by the devotion of Lakshmi, Vishnu named the place Badrika Ashram. According to Atkinson (1979), the place used to be a jujube forest, which is not found there today. Vishnu in the form of Badrinath is depicted in the temple sitting in the padmasana posture. According to the legend, Vishnu was chastised by a sage, who saw Vishnu’s consort, Lakshmi, massaging his feet. Vishnu went to Badrinath to perform austerity, meditating for a long time in padmasana. The temple is expected to disappear one day! An ancient legend goes that Badrinath Dham will go under water one day, only to rise again in another form. This legend bears its roots in the river Saraswati that gushes with force up to the time it reaches the Alaknanda River, and here, it quietly disperses into the latter. So also the Badrinath Temple would disappear and be reborn as ‘Bhavishya Badri’. Although Badrinath is located in North India, the head priest, or Rawal, is traditionally a Nambudiri Brahmin chosen from the South Indian state of Kerala. The Nambudiri tradition was begun by Adi Shankara, who was a great Indian philosopher from Southern India. The Rawal is assisted by the Garhwali Dimri Pundits belonging to the Village Dimmer. Badrinath is one of the few temples in North India that follow the ancient Tantra-Vidhi of Shrauta tradition more common in South India. Devotees of all faiths and all schools of thought of Hinduism visit the place. Many religious heads of various Muths, such as Jeeyar Mutt (Andhra mutt), Sringeri, Kanchi, Udupi Pejavar and Manthralayam Sri Raghavendra Swamy Muths have their branches/guest houses. The Rawal (chief priest) is selected by erstwhile rulers of Garhwal and Travancore. The Rawal has been accorded high holiness status by Garwhal Rifles and also the state governments of Uttarakhand and Uttar Pradesh. He was also held in high esteem by the Royals of Nepal. For six months in a year (during March to pre-November), he performs his duties as a temple priest. Thereafter, he either stays in Joshimutt or goes back to his ancestral village in Kerala. The current Rawal is Shri V. Keshavan Namboothiri. The duties of the Rawal starts at 4 A.M every day, with the Abhishekam. The Rawal should not cross the river till Vamana Dwadasi and must be a Brahmachari. The Badrinath Temple comprises five temple edifices that stand over holy land. It stands between two mountains – Nara and Narayana – and is known as Badrinath Dham. The duo is said to be reincarnated from Lord Vishnu, and they often prayed and meditated at the site. They were later born as Arjuna and Krishna many eons later. The temple is dedicated to Lord Vishnu of the Hindu trinity of Gods, who is seen in a meditative pose. The temple is divided into three main chambers namely Garbha Griha (main sanctorum where the idol is placed), Darshan Mandap (where religious ceremonies take place) and the Sabha Mandap (where all devotees assemble). The Alaknanda is a Himalayan river in the Indian state of Uttarakhand and one of the two headstreams of the Ganga, the major river of Northern India and the holy river of Hinduism. The sacred river runs by the holy site. The Alaknanda River that flows alongside the temple is revered as an auspicious one. The legend goes that Lord Badrinath once rested at the site where the river now stands, but there was just a little tributary there. Within minutes, the little water body swelled into a gigantic river that washed the Lord’s feet. Even today, the river is considered holy and a dip in it is highly recommended if one wishes to wash away one’s sins.